Victoriangdn's California Poppy, our first Calico at 5 Weeks Old. 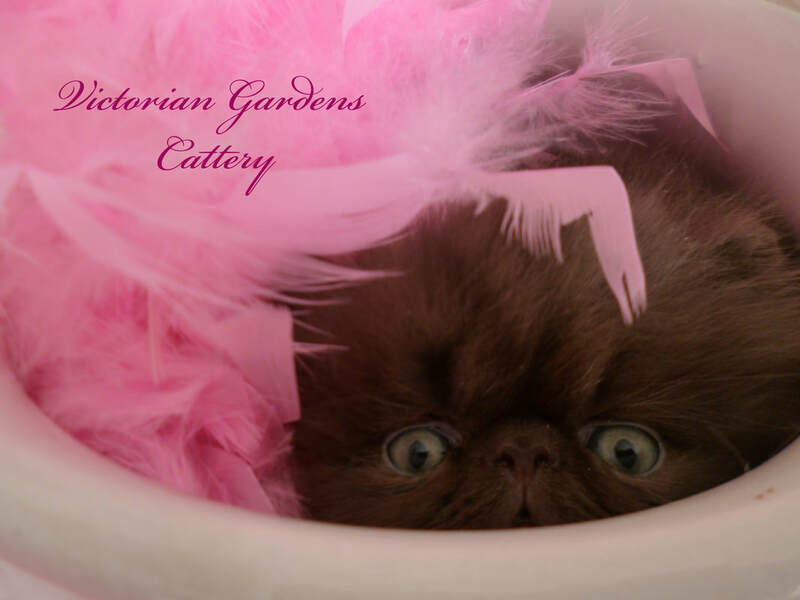 Victorian Gardens Cattery is a CFA registered Cattery for CFA registered Persian and Himalayan kittens. 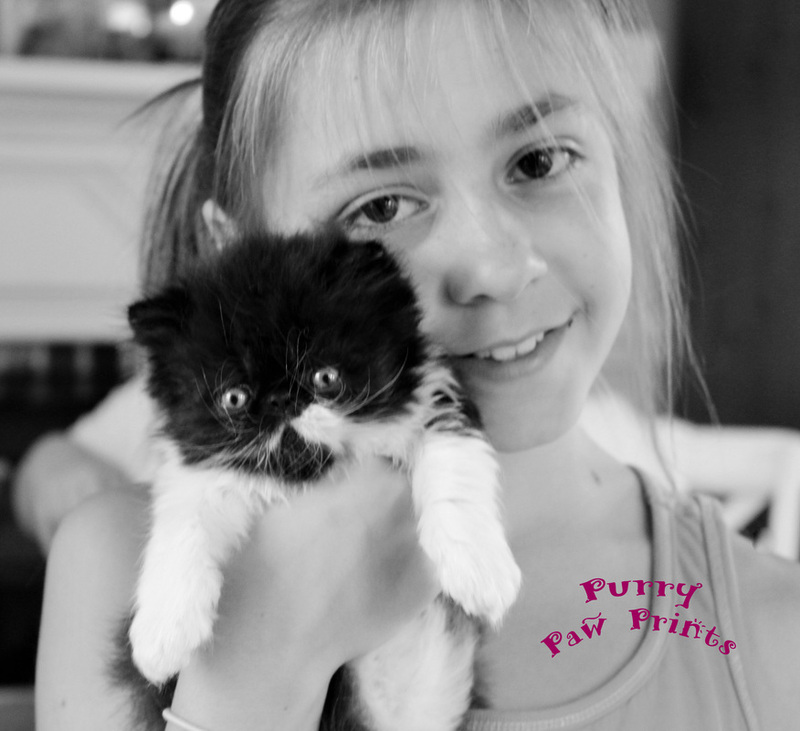 The Cat Fancier's Association (CFA) is the world's largest registry of pedigreed cats. 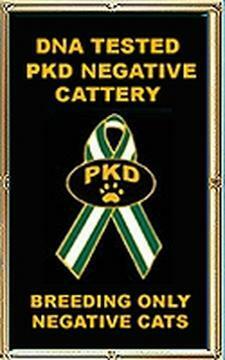 Victorian Gardens Cattery is PKD, FELV, FIV tested negative, HCM Ultra Sounded, Ringworm Free small Cattery located in North Eastern North Carolina. We are a closed Cattery. 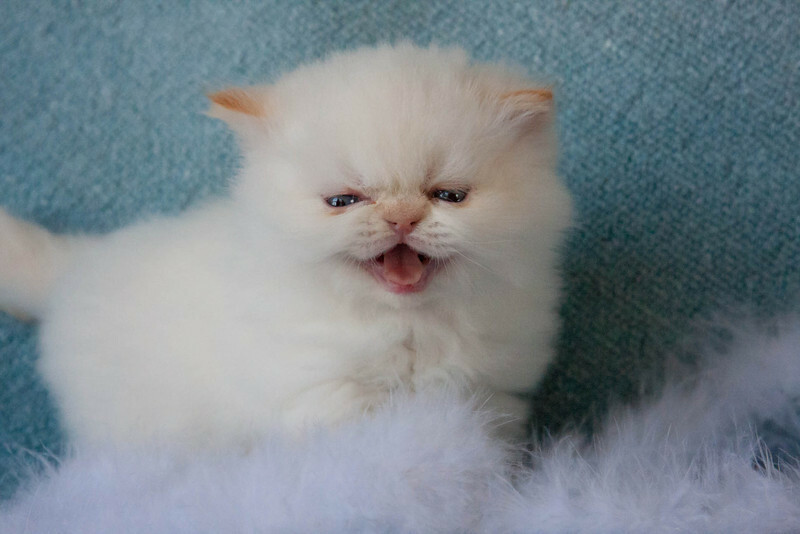 We were the first Persian and Himalayan Cattery in the world to offer a Six Year HCM Health Guarantee on all our Persian and Himalayan kittens. Victorian Gardens Cattery was also the creator of the logo for the Winn Feline Foundation Persian HCM Fund Decal, as well as creator of the original idea to donate a part of each kitten sale to the Winn Feline Foundation Persian HCM Fund, which is set up to fund the research for a Persian and Himalayan DNA test for HCM. 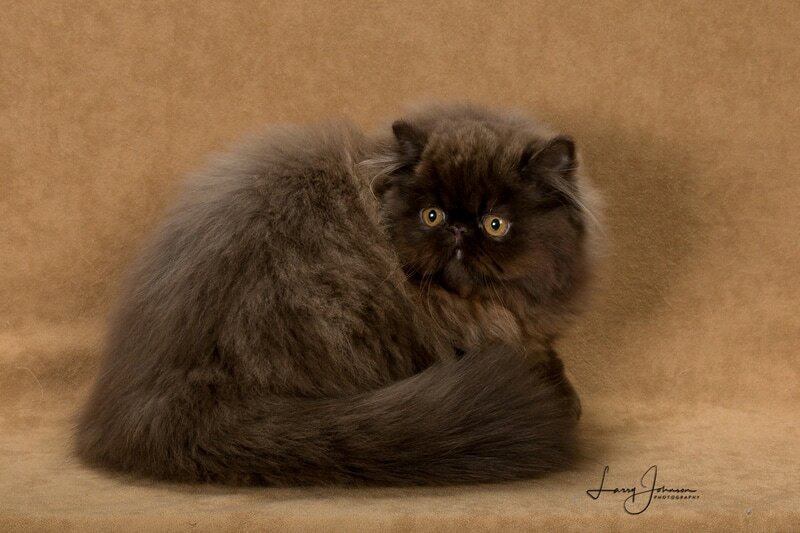 You can see how strongly we feel about heart health in the Persian and Himalayan breed. We may specialize in particular colors, but our motto has always been from the start, health first and personality second. 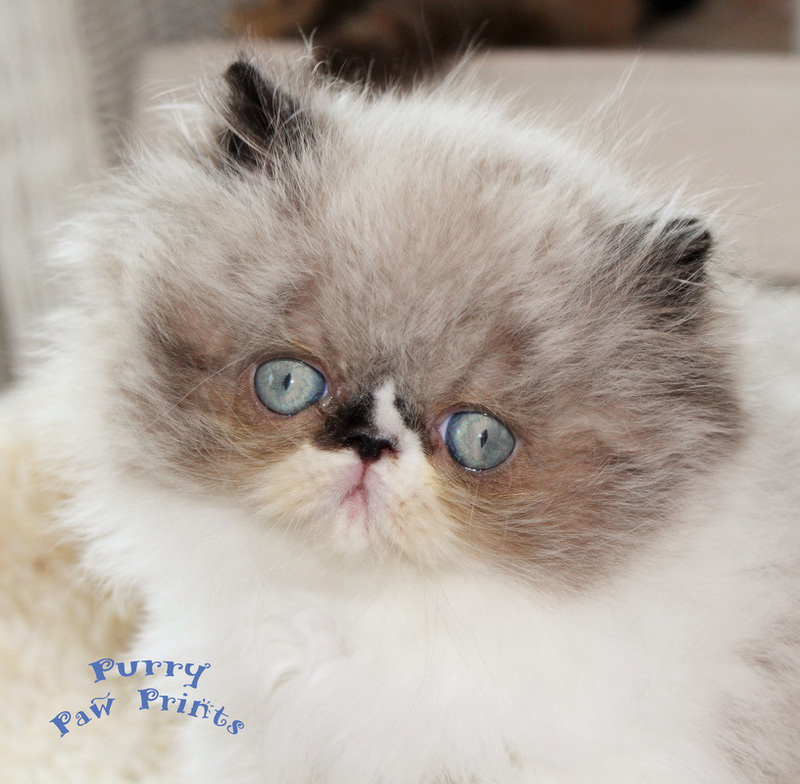 We are dedicated to the health of all our kittens and cats as you will see throughout this website, as well as to the health and longevity of the Persian and Himalayan breed. 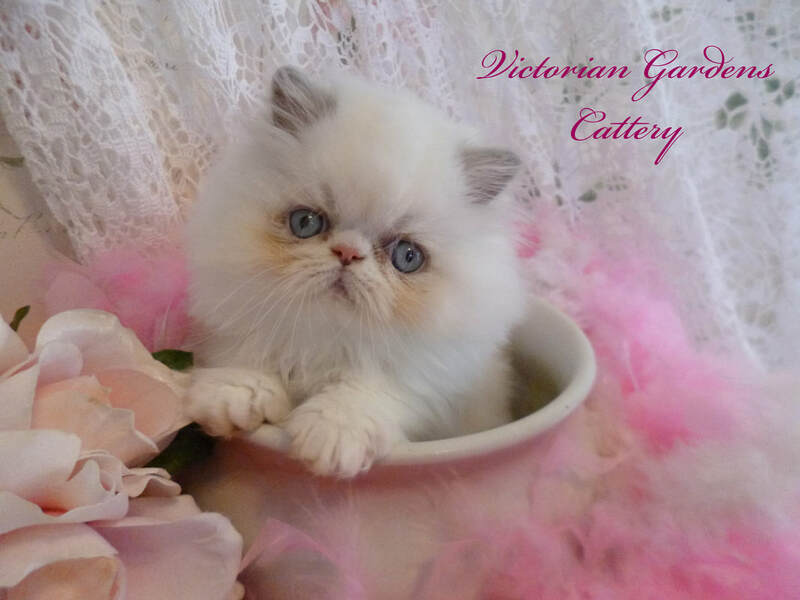 As of October 12, 2013, Victorian Gardens Cattery is very pleased to be the first known Persian and Himalayan Cattery in the world to offer a 6 Year HCM Health Guarantee on all its new kitten contracts. For those who have had a loss of their companion to this horrible disease, you will be the first to appreciate how truly reassuring this guarantee is. 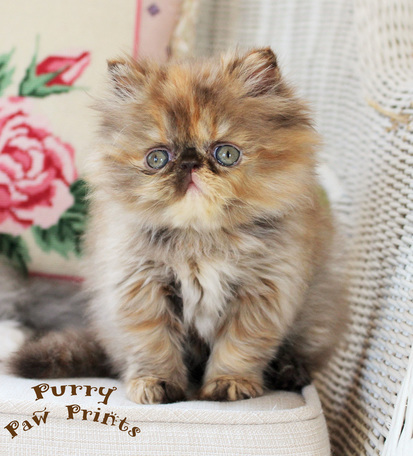 To validate this guarantee, the buyer of the kitten must provide the kitten with a cardiac ultrasound between the ages of two to three years old. Specific details on the 6 Year HCM Health Guarantee will be included on all new kitten contracts. Please contact us directly for further details and buyer requirements of this guarantee. This six year guarantee is only for HCM. Our standard two year Genetic Health Guarantee is still in effect. 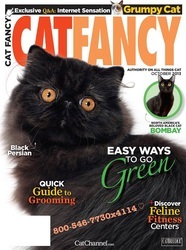 October Issue of Cat Fancy Magazine. 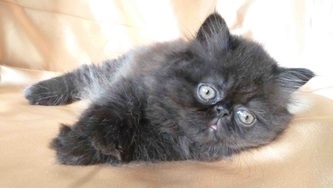 Featuring Breed Profiles "Black Magic - The Bombay and The Solid Persian Charm Cat Lovers With Their Beauty and Personality". 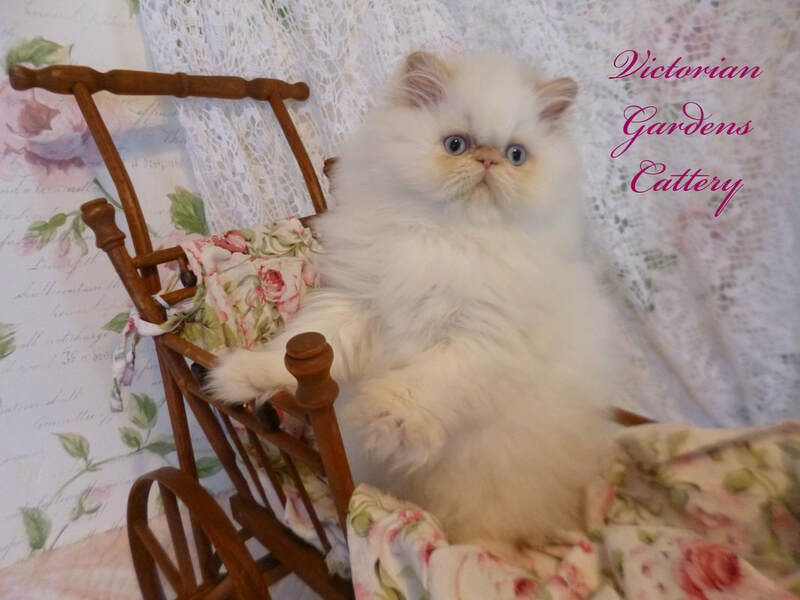 VICTORIANGDN The Perfect Rose, 3 1/2 month old Black CPC Persian. Courtesy of D. Russo Photography. Health is first priority at Victorian Gardens Cattery. 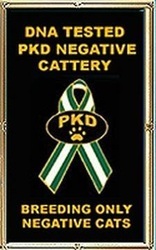 All our foundation dams and sires are Polycystic Kidney Disease (PKD) DNA tested negative through Veterinary Genetics Laboratory in Davis, California or the newest lab is through CFA's catDNAtest.org. The DNA services are performed by Neogen's GeneSeek Operations lab, the world's largest animal genetic testing laboratory. The foundation dams and sires are also Feline Leukemia tested negative and Feline Aids tested negative through our local veterinarians. We are a ringworm free Cattery. Any new incoming dams and sires will have the more extensive DNA testing. As of February 1, 2012, all our current and any future dams and sires (2 years of age or older) will be Cardiac Ultrasounded for HCM, Hypertrophic Cardiomyopathy every one to three years. Dates of each Cardiac Ultrasound can be found on the Dams and the Sires pages. As of November 11, 2017, our Cardiac Ultrasounds are being performed by Dr. Kate Meurs, Cardiologist at NC State Veterinary School and Hospital. Dr. Kate Meurs is the head researcher who is trying to find the genetic markers for HCM in the Persian and Himalayan breed. 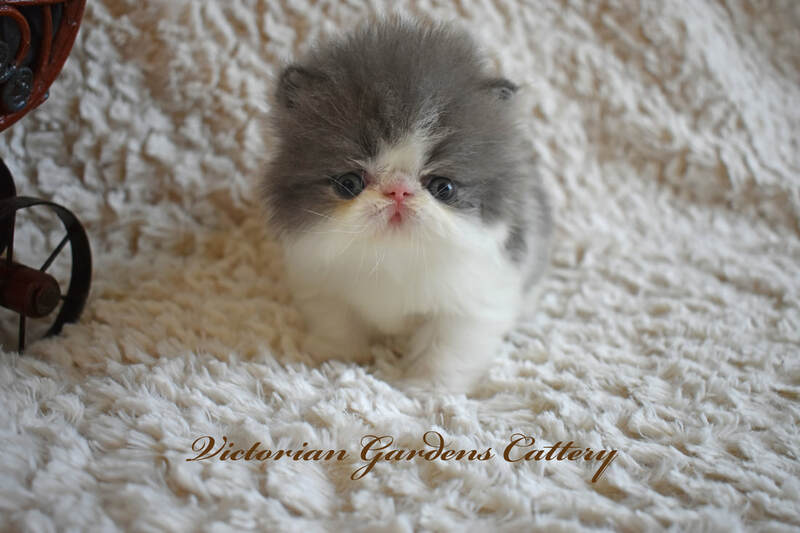 As of January 2013, Victorian Gardens Cattery is only one of a handful of known Persian and Himalayan Catteries in the world that provide HCM cardiac ultrasounds on all their breeders on a regular basis. Our breeding program is striving towards CFA breed standard with an example of the healthy extreme face with larger nostrils and nose pad and a small nose bridge. Our Sires, CH Willie Wonka and CH Little Miracle are excellent examples of a healthy extreme face. 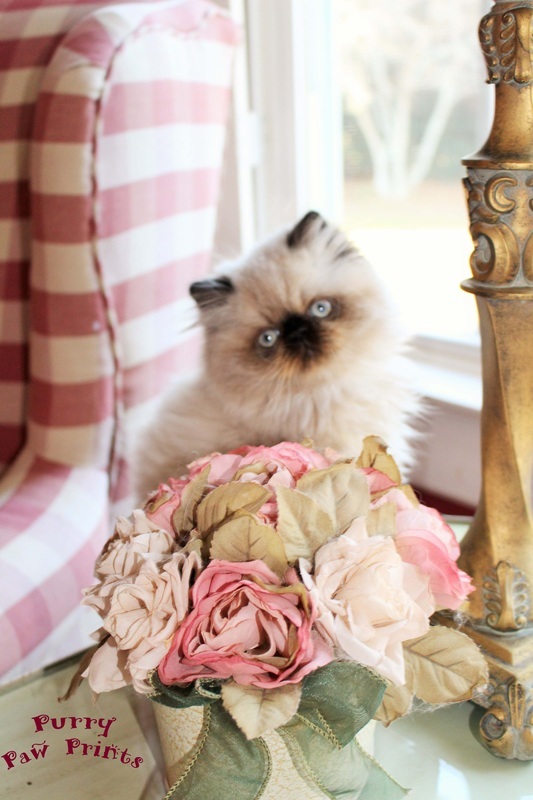 We will always have the darling traditional doll faced kittens everyone loves and wants. 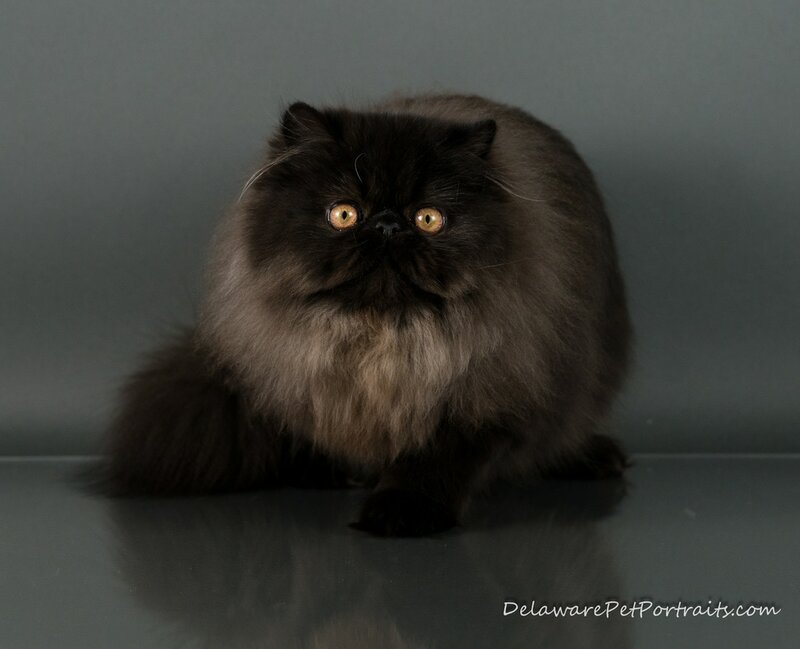 ﻿Our Sires and Dams bring a mix of National Winner, Regional Winner and Grand Champion bloodlines (within two to five generation pedigree) which include the following Catteries: Purrinlot, Katpourri, Kitkas, Joleigh, Southpaw, Chrishanna, Red Sky, My Ty, Polcann, and Homerkits, and Stepp'nStone..
Our Champion bloodlines (within five generation pedigree) come from some of the following Catteries: Catillak, Riell, Aristochet, Uno Belgatto, My Ty, Crayola Cats, Foxy, Fur, Lotapurrs, Policann, Tittusville, La Chatrue, Maurarista, Purdy, Cactusways, Stepp'nstone, Kilkatz, Mibarben. 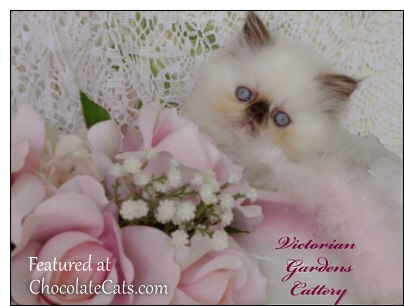 We have traditional doll face and extreme face Persian and Himalayan kittens and cats in an array of colors, including, but not limited to: Red, Cream, Chocolate, Tortoiseshell, Blue, Blue Cream, Seal Point, Chocolate Point, Tortie Point, Blue Cream Point, Blue Point, Flame Point, Cream Point. 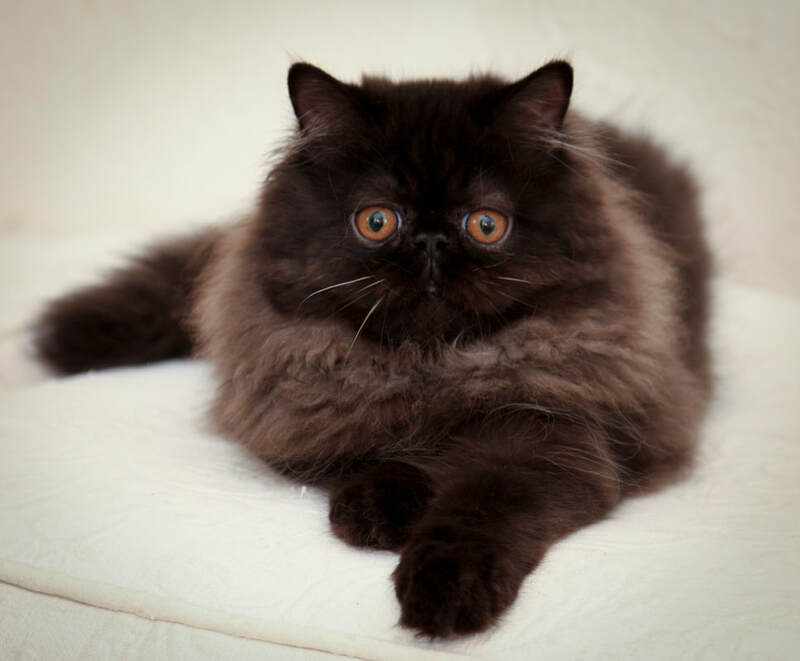 We have two visual chocolate Himalayan sires and one CPC Persian sire carrying the chocolate gene, several CPC Persians dams carrying the chocolate gene and some also carrying the dilute gene, several Himalayan dams carrying the chocolate gene and some also carry the dilute gene. The chocolate and dilute gene allows us to obtain the hard to get colors of chocolate and lilac. We currently do not carry the Lynx gene or the Tabby gene, but may do so in the future. Our Adoptive Families will testify to our kittens keen intelligence. We believe our babies are so smart, that we encourage our parents to try toilet training their babies. Our babies also have a funny fascination with water or maybe we should say ... playing in the water. One common thread in conversations with our Adoptive Parents is that our kittens are very fearless. You can read from the Adoptive Parents their stories of their babies fearlessness, intelligence or water fascinations on our Adopted Kittens page. Willie Wonka is producing babies that are outgoing, self assured, self confident and very much people oriented. During our newborn kitten time, we produce videos of our babies as they grow from birth to 13 weeks of age. We strive to present a new video each week or two of their life so that their future adoptive families can enjoy their growth process with us. We have available a YouTube link to our YouTube Channel called "weloveourkittens". Feel free to enjoy watching our babies in action by clicking on the YouTube Link on the left side of this page at the top. If you like our videos, please "Like" our videos on YouTube and leave a comment. You can also subscribe to our channel on YouTube to be notified of newly uploaded videos. During our spring/summer breeding time, you can catch us blogging about our Dam's pregnancies, birth and the babies development all the way through the 13th week. You can catch us blogging about our babies each week on our "Our Cattery Blog". Learn exactly where the babies are in their development. You just never know what we might be blogging about, so come join us. In addition, we have a page to let you know what to expect for our babies in their first 12 weeks of life at the Cattery. 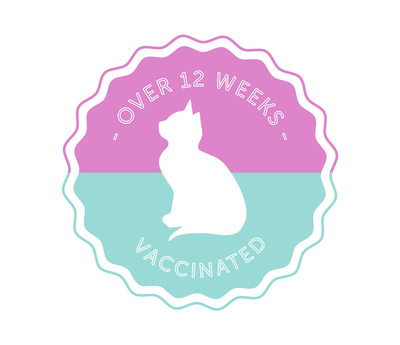 You can find the babies first 12 weeks of life on our page entitled "The First Twelve Weeks". In addition, we have a "Photo Gallery" page available where you can see Slide Shows or browse current litter pictures as well as past litter pictures. Please come be our Cattery friend on Facebook by clicking on the highlighted link. "For I know the plans I have for you," declares the Lord, "plans to prosper you and not to harm you, plans to give you hope and a future". Jeremiah 29:11 (NIV). In these unsettling times that we live in, it is great to know that there is hope for the future. Please go to www.thegiftofsalvation.com to receive more information on this hope.